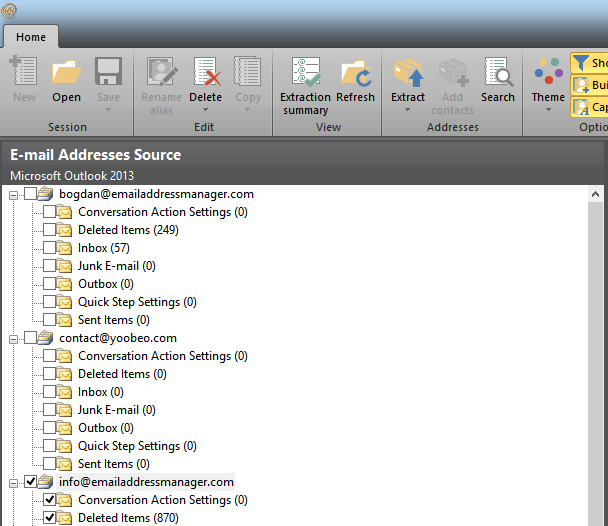 In order to extract email addresses from emails, you firstly have to select the email client from which to extract from. 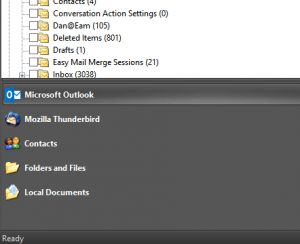 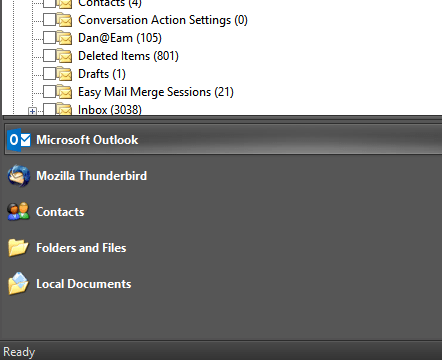 Email Address Collector supports all Windows versions of the following email clients: Office Outlook, Outlook Express, Thunderbird and Eudora. 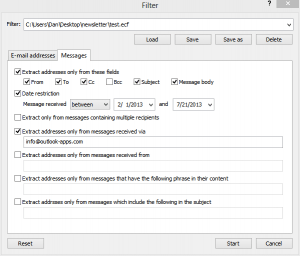 – extract from all checked folders (it will extract email addresses from emails stored in all selected / checked email folders). 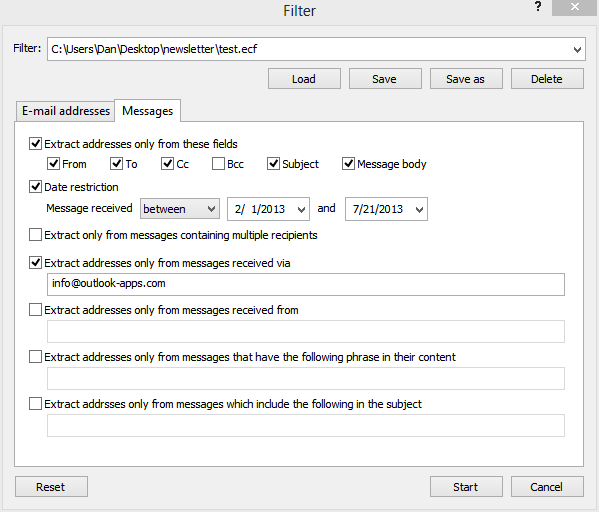 – suspicious emails restriction (pre-filled – you can choose to ignore email addresses that include keywords that usually belong to spam or robot-like addresses: for example, you can choose to ignore email addresses that contain the word “postmaster”). 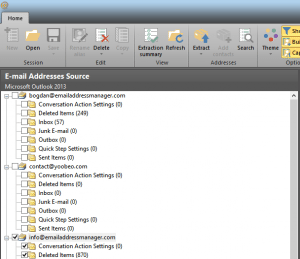 – extract email addresses from emails containing certain keywords in their subject line.